In this day and age, it is no longer required for you to go into an office or work out in the fields in order to make some money. 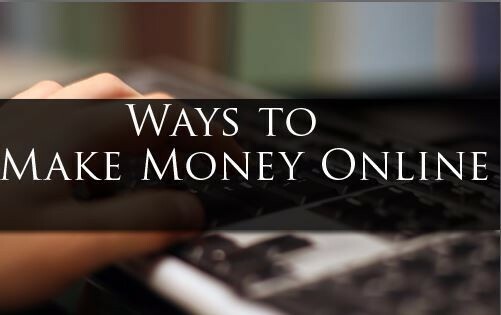 With the internet, there are plenty of ways that you can make money online without having to leave your home. This can be a great way to earn some money on the side, or even to replace your full-time income if you are dedicated enough. 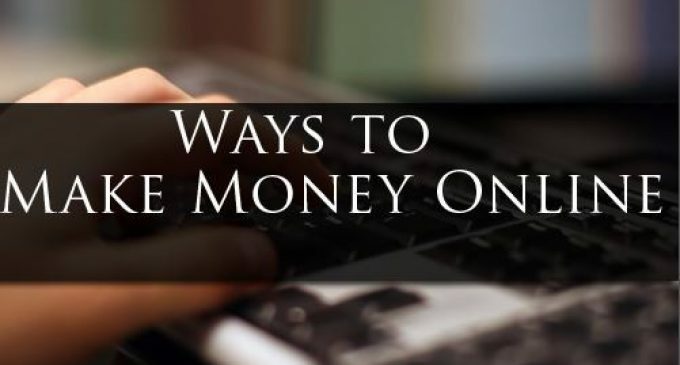 For those of you who want to start making a little bit of money online, we have come up with some of the best ways for you to do that. Try out the suggestions below and see if any of them work for you. Monetize Your Own Site – If you currently own a website, you can begin making money off of it right away. There are a ton of ways to monetize a website, and most of them are easy to implement. For starters, you can place ads on your site using Google Adwords. Another option is to become an affiliate marketer, in which you market a product for someone and then get a piece of the sale. The best example of this is the Amazon Affiliate Program. For this program all you need to do is direct people to Amazon, and if they make a purchase while there, you get a commission. There are many other ways to monetize a site, but these are the two most common. For those of you that own a site, look into monetizing it to bring in extra cash. If you don’t already have a website, they are easy to make. There are many guides online to help you set up a quick website and start your online business, and once you have it established, you can start monetizing it. Use A Third-Party Site – When you don’t have your own website to use, there are other sites out there already that can help you to make money. Sites like Upwork, Elance, and Fiverr all allow you to get hired for online jobs. Jobs can range from writing content, to editing photos, to being a virtual assistant to creating websites. With Upwork and Elance you create a profile and apply for posted jobs. With Fiverr, you post a “gig” that you would like to perform for people, and if someone wants it, they will pay you $5 for it. Using freelancer sites like these are a great way to earn a part-time income, or even full-time income if you find the write clients. Monetize Your Influence – Lastly, if you have a large social media following, you can use that to make some money. There are many ways that you can use your social media accounts to generate money, and most of them are easy to set up. For the most part they just require you to send out links to affiliate products every once in a while, and you get a commission on sales. Since you already have a large following, you don’t have to do much work besides setting it up and sending out the links. As you can see there are plenty of ways to go about making money online. The best way to know which ones are for you are to try a few of them out. Experiment with some of the things mentioned above, and see if you can make any money from them. Remember that some of these will take time however, so don’t be too quick to assume it isn’t working. Stick with it and try out several options at once for best results. Good luck!